An Arctic voyage visiting Canada's fabled Northwest Passage where one of explorer Sir John Franklin's ships was discovered this month after a 170-year search is available through Australian tour company, Active Travel. The discovery of the missing wreck 11m below remote Victoria Strait near King William Island has been described as one of the greatest archaeological events of the past 100 years, with the find solving one of maritime history's greatest mysteries. The British vessels, HMS Erebus and HMS Terror, were last seen in ice-clad Baffin Bay in 1845, with Australians able to visit the area themselves aboard a polar expedition ship in 2015, 170 years since Sir John Franklin's expedition vanished. Active Travel is a partner with One Ocean Expeditions, the exploration cruise operator in the Canadian Arctic which helped uncover one of Sir Franklin's ships this month. The ship used in the search, Akademik Sergey Vavilov, is a sister ship to the Russian ship that Active Travel customers can sail aboard to the same region in 2015. 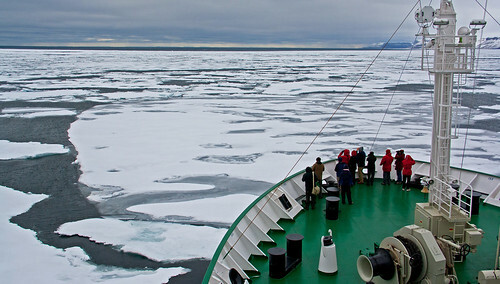 Active Travel's 13-day Northwest Passage Voyage from Greenland on August 12, 2015, aboard the Russian icebreaker, Akademik Ioffe, will take passengers deep inside the Arctic Circle, beginning with the fjords and frontier settlements of Greenland before the journey charts Sir Franklin's final path through the isolated islands of the Canadian Arctic, including King William Island. The voyage of a lifetime ends at Cambridge Bay from where passengers will be flown back to Edmonton. The 13-day voyage is priced from US$9995 per person, twin-share, including onboard meals, land excursions, Arctic weather gear and onboard lectures. Charter flights from Ottawa to Greenland at the start of the voyage and back to Edmonton at the end of the cruise are an extra US$1990 per person return. Return flights from Australia to Canada are additional and can also be booked through Active Travel. For bookings, visit www.activetravel.com.au or call 1300 783 188.